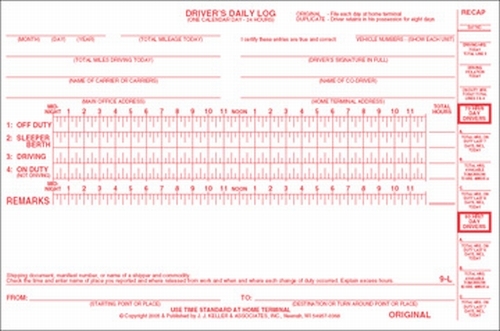 The Loose-leaf Bus Driver's Daily Log 9-FS-A2 is a 2-Ply with Carbon Snap-out format that comes with a Detailed DVIR. 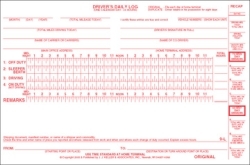 It features a DOT-compliant log grid printed on the face of both plies - with a Daily Recap in the right margin - to help you comply with §395.8 logging regulations. The detailed DVIR on back of both plies helps you comply with §396.11 vehicle inspection requirements. The inside cover includes a monthly summary, DOT logging regulations and completion instructions.